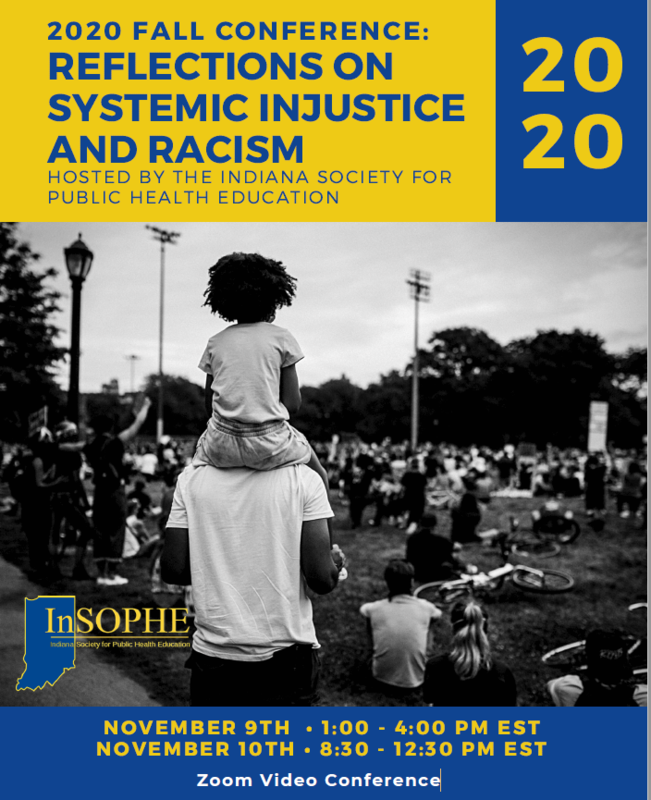 The Indiana Society for Public Health Education (InSOPHE) strives to provide and create an environment in which health education/health promotion professionals can meet, exchange ideas, develop relationships, and explore the latest trends in health education and health promotion, as well as to learn from other professionals in our field. 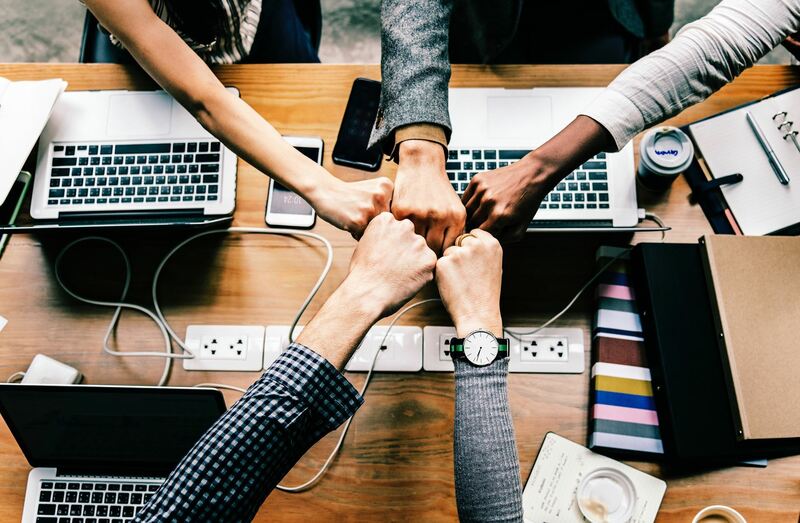 InSOPHE will give you the opportunity to build valuable connections throughout your career, while expanding your knowledge through educational workshops and seminars. Learn more about us and how you can become a member today! The purpose of Indiana SOPHE is to promote, encourage, and contribute to the advancement of the health of all people and to advance the health education/promotion profession through research, service, leadership, education, and distribution of appropriate materials. Becoming a member of the InSOPHE association can be an interactive experience as well as an informational one. Members will be kept up to date on the activities of the organization through event reminders and notes on upcoming opportunities to network with your colleagues and earn continuing education credits. Members will also have access to our social media content, where we send out updates and alerts on the latest news in health education, Hoosier-specific events, and job opportunities. Partner with InSOPHE for Your Next Event! On Monday, April 22, 2019 the Purdue University Public Health Graduate Program will host a women’s health symposium, which will be part of Purdue University’s 150 Years of Giant Leaps celebrations. Our event will include a keynote address from the Indiana State Health Commissioner Dr. Kristina Box, an esteemed panel discussion moderated by Judy Monroe, President and CEO of the CDC foundation, roundtable discussions, and research rapid fire presentations. Roundtable speakers include Purdue University faculty and leaders of state-wide organizations. Research rapid fire presenters include five prolific Purdue University faculty engaging in groundbreaking research. The symposium is free and open to the public. Attendees will learn, collaborate, and network. Over 200 attendees are expected. Be sure to register TODAY to secure your participation. The afternoon will conclude with a cake cutting and celebration of the Public Health Graduate Program’s recent CEPH (Council on Education for Public Health) accreditation. Spend some time after work getting to know other health educators in Indiana! Join us for a fun night of conversation, networking and fun activities. This event is open to both students and professionals. This is a free networking event sponsored by InSOPHE. Organized by the SOPHE Global Health Community of Practice, there will be a discussion on roughly three best practices and careers along with potential research and pedagogy in Global Health. and cutting-edge leadership principles including the various routes to equip one’s self. academic and creative peer-reviewed and non-peer reviewed venues. the global context by exploring the underpinnings of a study abroad course that allows for comparisons of two health care systems. 4) Global Careers at CDC: We will consider global health opportunities at CDC, including temporary fellowships and permanent career assignments. 5) Best practices based on evidence base in developing skills in pedagogical understanding and delivery of online and hybrid courses in health education/health promotion nationally and internationally. 6) We will discuss publishing international research, including potential venues and tips for writing, submitting, communicating with editors, responding to reviewers and pitfalls unique to global scholarship. Shanna Livermore, MPH, MCHES, FRSPH holds a Master’s in Public Health, with an emphasis on global health, from Claremont Graduate University (CGU). She is pursuing a DrPH at CGU with an emphasis in global health and is chair of the DrPH mentoring program. Ms. Livermore has worked as a public health professional for 18 years starting at the California Department of Public Health. She served as a consultant to the Pan African Parliament for developing their 2014-2017 Strategic Plan. Currently, she serves as a Program Manager at the University of Southern California (USC) and is a board member of the Nigerian-based Rural Women Foundation. Ms. Livermore is the SOPHE GH CoP Co-chair, and the Southern California SOPHE’s National Delegate and President-elect. Ms. Livermore is a transdisciplinary-focused professional who strives to invoke the Zen Buddhist concept of Shoshi in her life. The InSOPHE Board of Directors meet on the second Friday of every month at 1pm eastern time for one hour. All meetings of the Board of Directors shall be open to interested members at any time. For meeting details, please contact a board member! For decades, it has been common practice to address challenges around race and income as a means to improve education and health outcomes. Yet, new methods also include addressing student trauma in order to influence educational outcomes from k-12 through higher education. You are invited to join forces with Metropolitan Indianapolis Central Indiana Area Health Education Center (MICI-AHEC) to help ensure academic and improved health for the generations to come by exploring just how trauma impacts health and academic achievement at their June 14th conference, Impact of Trauma on Health and Academic Achievement. Currently, MICI-AHEC, a leading partner in our region, improves educational and health outcomes for hundreds of participants annually through our many secondary/ post-secondary/ graduate education, training, and outreach programs. But, we can ensure even better outcomes by learning and sharing more about new and innovative approaches, such as addressing trauma in education and health. 31 Aug 2018 Last Day to Register for CHES Exam! 23 Jan 2015 IPHA Public Health Breakfast Forum: "Guns, Violence, and Youth: Community-Based Interventions"
22 Jan 2015 ICC's "This Just In" Presentation: "Emerging Trends and Research in Cervical Cancer and HPV Vaccination"
22 Sep 2014 InSOPHE Student Recognition Award Due!